Croatian literature refers to literary works attributed to the medieval and modern culture of the Croats, Croatia and the Croatian language. Beside the modern language whose shape and orthography was standardized in the late 19th century, it also covers oldest works written in Croatian recension of Church Slavonic and Medieval Latin, as well as the vernacular works written in Čakavian and Kajkavian dialects. Croatian medieval prose is similar to all European medieval literature in that time. The oldest monuments of Croatian literacy are dated to the 11th and 12th centuries; Croatian medieval literature lasts until middle of 16th century. Some elements of medieval literature can be found even in 18th-century Croatian literature, which means that influence of medieval literature of Croats had been stronger than in rest of Europe. Early Croatian literature had been marked in stones, hand-writings and printed books. A special segment of Croatian medieval literature is written in Latin. The first works on hagiography and history of the Church are formed in the Dalmatian cities (Split, Zadar, Trogir, Osor, Dubrovnik, Kotor), like "Splitski evanđelistar" (6th–7th century) and other liturgical and unliturgical works. Beginning of Croatian medieval literature is connected to Latin hagiography, with texts about Dalmatian and Istrian martyrs: Saint Duje, Saint Anastasius, Saint Maurice and Saint Germanus. In northern Croatia, Panonia, works about cults are created, like cult of Saint Quirinus, Saint Eusebius, Saint Pollio, etc. For centuries, Croats wrote all works about law, history (chronicles) and scientific in Latin, thus they rise from regional activity to European rang. Croatian medieval prose is written in two languages: Croatian and Church Slavonic with three letters, Glagolitic, Latinic and Bosnian Cyrillic. Among these there was interaction, as evidenced by copies of letters from one to another; especially connection between Glagolitic and Cyrillic texts is expressed, and some Latin are relied on Glagolitic templates. That makes Croatian prose unicate between Slavic proses, and even European literature. Croatian medieval literature reflects general trends of European literature, even though with some personalities, for example horizontally directed literature, to average people; connection with oral literature, overcoming of subjects about religion and interweaving of genres. Significant part of Croatian early literature are translations, with typical Central European edits. Croatian early literature was influenced from two spheres: from East (Byzantine and Church Slavonic inheritance) and from West (from Latin, Italian, Franco-Italian and Czech tradition). From the 14th century, influence from West has remained in Croatian literature. Recognizing these patterns, Croatian, mostly anonymous, authors adapting their own sensibilities to the specific needs of the community in which and for which they wrote. Even a big part of that literature were translations, this literature achieved significant art level with language and election of style means. One of the most significant achievements was keeping (especially in Glagolitic sphere) of Church Slavonic literal language; in later periods, elements of that language were used as means of expressiveness and as signal of "high style", and from the other side, accepting of live, vernacular, and its rise to media worthy and capable to transfer knowledge of wide range of subjects, from law and theology, from chronicles and scientific texts, to literal works. Such medieval works on people's language are starting point to literature of later periods. The oldest monuments of Croatian medieval prose are dating from the 11th and 12th century. Those monuments are glagolitic epigraphical monuments: Valun tablet, Plomin tablet and Krk tablet from the 11th century and Baška tablet from the 11th or 12th century. 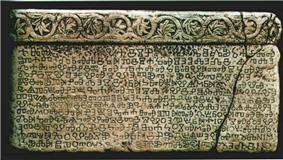 Baška tablet is the first saved in whole monument on people's language with elements of literal Church Slavonic. Other monuments are Senj tablet, Plastovo tablet, Knin tablet and Supetar tablet, all dating from the 12th century and the Hum tablet from the 11th or 12th century. From hand-writings only fragments are saved, and they witness about rich literal tradition on Croatian soil. 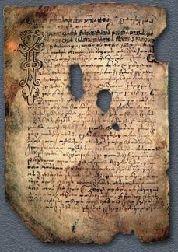 Those are parts from biblical-liturgical meanings: fragments of apostles, like Mihanović's apostle, Grašković's fragment, both were created in the 12th century; fragments of missals as first page of Kievan papers from the 11th or 12th century and Vienna papers from the 12th century, those are the oldest Croatian monuments of liturgical content; fragments of breviaries, like London fragments, Vrbnik fragments and Ročki fragments, all dating from the 13th century. All those glagolitic monuments are created in continuity with monuments created at the same time in Bulgarian, Macedonian, Czech and Russian areas. But in the 12th and 13th centuries Croats developed their own form of glagolitic script, and they are rejuvenating the Croatian language with Chakavian personalities. 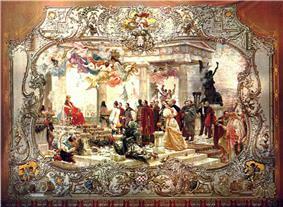 By doing so, Croats formed their own version of Church Slavonic which lasted until the 16th century. At the same time, biblical books were written according to model of Latin Vulgate. From that time are the oldest surviving texts of hagiographic-legendary and apocryphal prose, examples are Budapest fragments (12th century with part of a legend about Saint Simeon and Saint Thecla from the 13th century, part of apocryphal works of Paul and Thecla). The oldest examples date as far as back to the 9th and 11th centuries and are concluded as the early backbones of the Croatian literature. Baška tablet (Glagolithic letters), often regarded as a birth certificate of the Croatian language, shows post-pointed recension of the old Slavic dialect and is also the first mention of the Croats in the Croatian Language. The inscribed stone records King Zvonimir's donation of a piece of land to a Benedictine abbey in the time of abbot Drzhiha. It provides the only example of transition from Glagolitic of the rounded Macedonian type to the angular Croatian alphabet. Povlja tablet (Croatian: Povaljska listina) is the earliest monument written in the Cyrillic script, dates from the 12th century and traces its origin from Brač., featuring the standard "archaic" Chakavian dialect. Vrbnik Statute, Vinodol statute and Kastav Statute; all of the pictorial law documents of regulative meaning, embraced the littoral cities as administrative centers. The new poetical norms were mostly accepted during the 15th and 16th centuries. The Croatian renaissance, strongly influenced by Italian and western European literature, was thoroughly developed on the coastal parts of Croatia. The beginning of the Croatian 16th-century literal activity was marked by a Dalmatian humanist Marko Marulić and his epic book Judita, which has been written by incorporating peculiar motives and events from the classical Bible, and adapting them to the contemporary literature in Europe. The next most important artistic figure in the early stages of the Croatian renaissance was Petar Hektorović, a song collector and a poet from the island Hvar, most notable for his poem Fishing and Fishermen's Talk. Hanibal Lucić played the role along him, being also from Hvar. The movement later ascended with regard to the prose writers and playwrights from Republic of Ragusa, being such as Dinko Zlatarić, Mavro Vetranović and Marin Držić. The first Croatian novel, Planine written by Petar Zoranić and published 1569. in Zadar, included the author as an adventurer, portraying his passionate love towards a native girl. It was uniquely stylized, provided a detail inscription describing the surrounding land and the consciousness of the invading Turks. Printed in 1483, Missale Romanum Glagolitice (Croatian: Misal po zakonu rimskoga dvora) distinguished itself as the first overall non-Latin printed missal in Europe. Also dubbed as the first printed book among the South Slavic idiom. A prevailing cultural formation, Baroque emerged in Croatia later during the 17th century, when Dubrovnik became the chief literary center. Many readings were translated from the foreign Latin and Italian to the vernacular language and furthermore, used by the lower-class peasantry of the city. 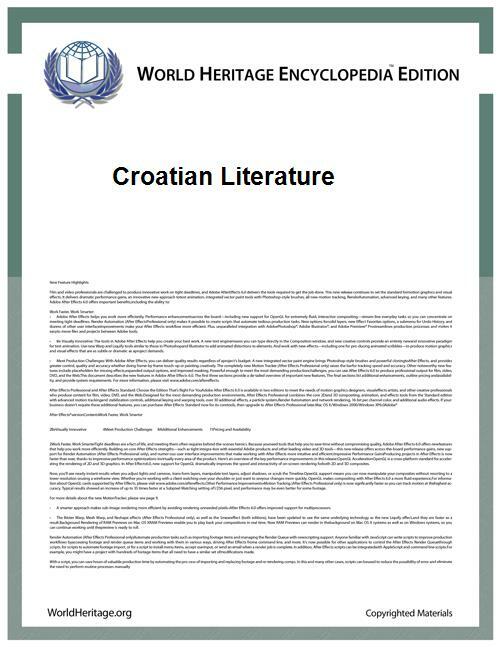 In the 18th century (socially interpreted as the Age of Enlightenment), the relation between the European literature and the human stance towards it drastically impacted on the Croatian lands. Withdrawn into the midst of the desiring principles of a human, along the lines of other European entities enduring social reforms. 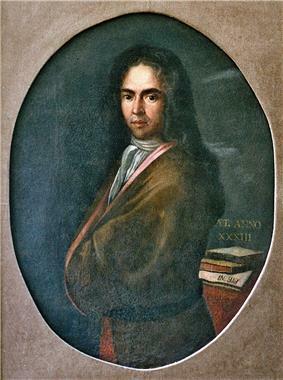 The most prominent Croatian author of the Enlightenment era, Pavao Ritter Vitezović, was notable for the conception and the foundation of the "newer" Pan-slavic ideology. His ideas (as well as from others) were fundamental in the Illyrian Movement (also "Croatian National Revival") and also used as a basis for their committing act in the Austro-Hungarian Monarchy. History and patriotism were subjected to most literary work at that time. A common orthographic book, written to set the new grammatical standard of the language, has been conceived by a linguist Ljudevit Gaj and is called "Kratka osnova horvatsko-slavenskog pravopisanja" (or simply referred to as "Gaj's Latin alphabet"). Gaj's Latin alphabet was also one of the two official scripts used to write Serbo-Croatian until the dissolution of Yugoslavia. Other notable literary contributions were made by Antun Mihanović (notably Horvatska Domovina which later became Our Beautiful Homeland), Stanko Vraz (satiric lyrics), Ljudevit Vukotinović (romantic lyrics), Dimitrija Demeter (prose, notably Grobničko polje, and drama), Ivan Kukuljević Sakcinski (prose), Antun Nemčić (prose and itineraries). There was also the first notable itinerary Pogled u Bosnu by Matija Mažuranić. More important 20th-century writers are Vjenceslav Novak, Silvije Strahimir Kranjčević, Ivana Brlić-Mažuranić, Ante Kovačić, Ivan Kozarac, Miroslav Krleža, and Ksaver Šandor Gjalski. It spans both World War I and World War II, and stretches to this day. ^ Rački, F. 1881. Najstarija hrvatska cirilicom pisana listina. Starine 13, JAZU, Zagreb, 197–210. ^ Dunja Fališevac, Krešimir Nemec, Darko Novaković (2000). Leksikon hrvatskih pisaca. Zagreb: Školska knjiga d.d. ISBN 953-0-61107-2. ^ Hercigonja, Eduard (September 1984)). "Historical, social and cultural-environmental conditions of the origin and development of croatian glagolitic printing (on the occasion of the 500th anniversary of the editio princeps of the 1483 Missal)" (in Croatian). Slovo (Old Church Slavonic Institute) 34.